This attractively renovated apartment is on the ground floor facing Dalton Road, with direct access from the street. Although the apartment is arguably small (440 square feet) it has several redeeming features. The apartment is available for a May 1st or June 1st occupancy. 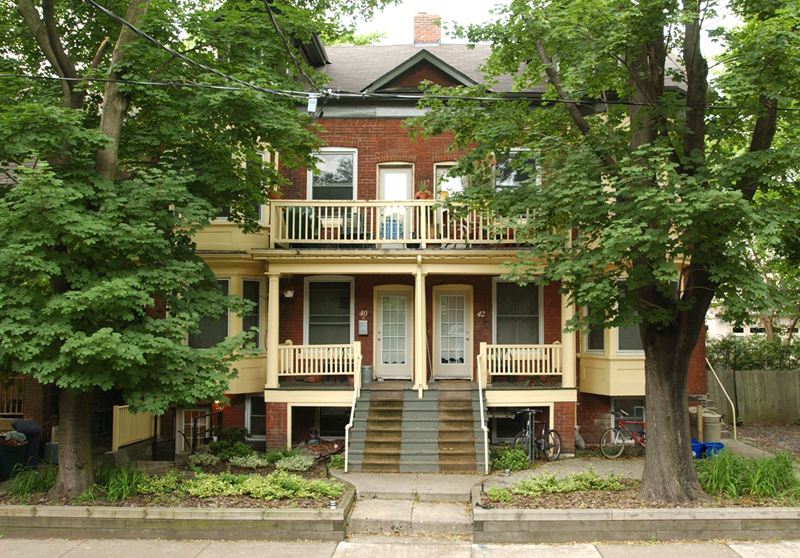 The property is located on a quiet, tree-lined street just 200 meters north of Bloor Street and 350 meters from the University/Spadina subway station. 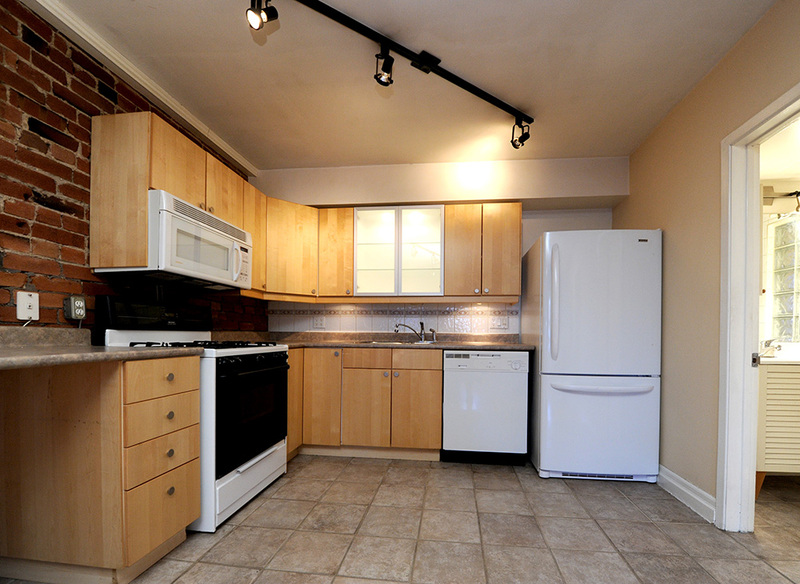 The University of Toronto, Royal Ontario Museum, Yorkville and Kensington Market are all within a fifteen-minute walk. (For more information about the neighbourhood follow this link). 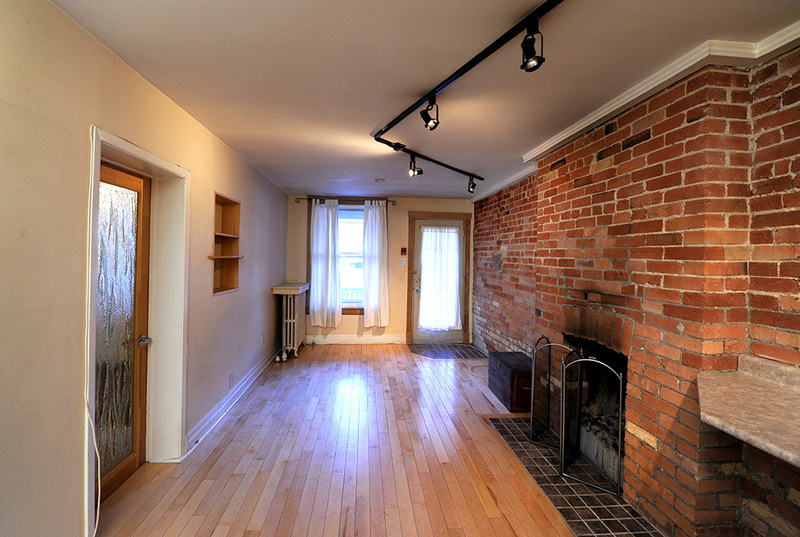 The open-concept living room / dining room/ kitchen has an exposed brick wall, a working fireplace and maple hardwood flooring. There's a built-in bookcase, track and recessed lighting. The kitchen has updated appliances, including a bottom-freezer LG fridge, a quiet Bromberg dishwasher, a gas range and built-in over-the-range microwave oven. Kitchen cabinets are form Ikea and feature in-cabinet and under-cabinet lighting. The bedroom features a bay window, maple hardwood flooring, a large ceiling fan and track lighting. There are two closets. All windows are modern, double-hung and fully operable. There's an Ikea vanity with a solid one-piece top and a single-handle faucet. The tub has a pressure-balanced (no-scald) shower mixer and a ceramic and glass block tub surround. 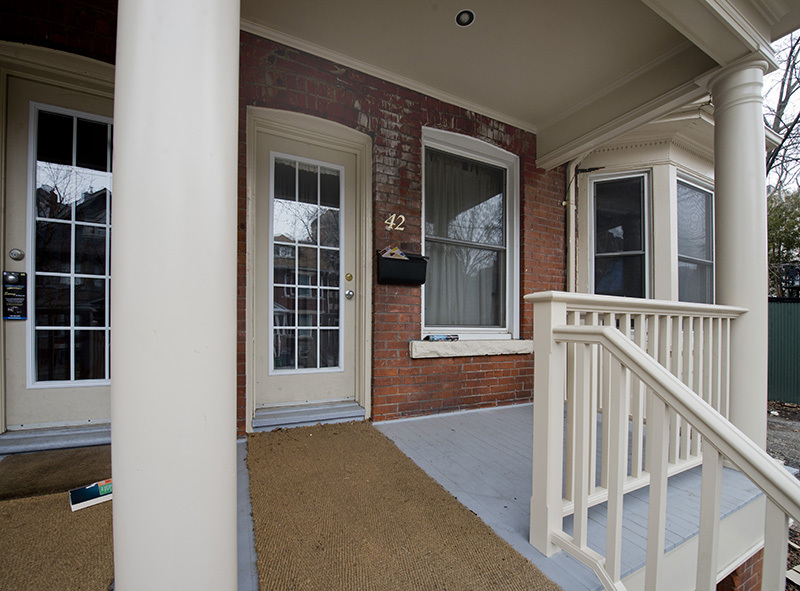 The private east-facing veranda overlooks Dalton Road. The rent includes water, heat, gas and electricity. Cable TV and Internet are not included in the rent. Although the building contains twelve units this apartment is accessed directly from the street and has no access to a common hallway. The apartment is not air conditioned. EnergyStar-qualified window air conditioners may be installed, subject to an energy surcharge (typically $85 per machine, per summer). Portable free-standing air conditioners are not permitted. Heating is provided by hot-water rads. .There is no onsite parking. Street parking is by permit only. The building is non-smoking, however smoking is permitted on the grounds and verandas. A one-year lease is required. Leases may be terminated early at the tenant's sole discretion, subject to a fee equal to 5% of the rent which would have been paid had the lease been fulfilled. First and last month's rent are required. The laundry room is accessed from the rear of the building, and is equipped with two coin-op double-load washers and two dryers. Limited showings are being offered on Tuesday, April 9th. If you wish to book a showing please use the form found on the contact page of this site.